15 September is celebrated as Engineer’s Day in India in memory of Sir M. Visvesvaraya. He is one of the best engineers the world has ever seen. We, as Indians, should be proud of him. 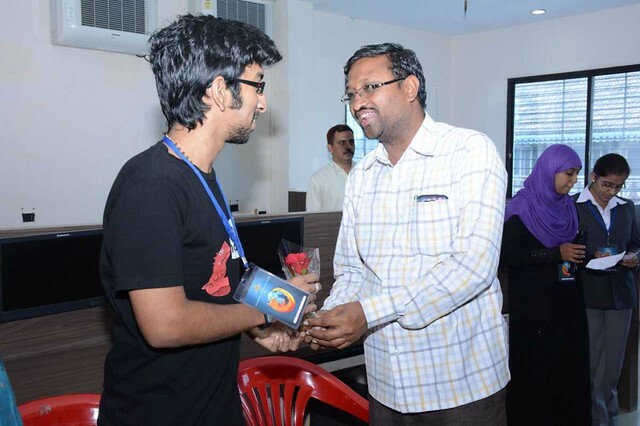 Last month I received an email from Shri Raksha, a Firefox Student Ambassador & Club lead of K S Institute of Technology, Bangalore. It was an invitation to speak at their club launch on the 15th of September. 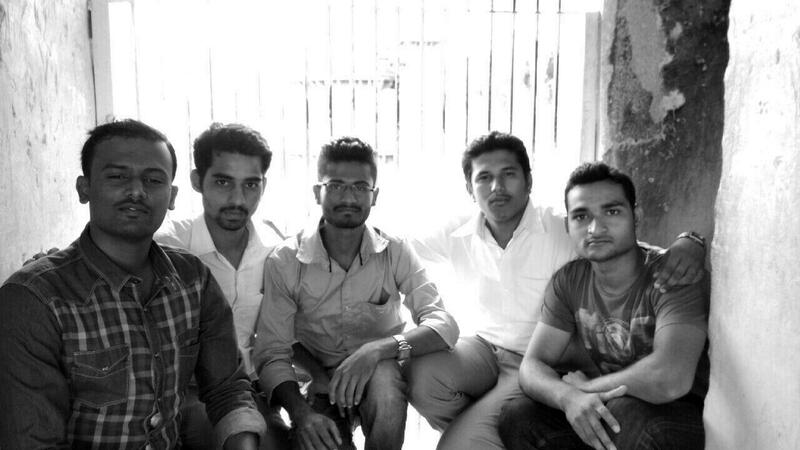 After travelling for more than 20 km, I reached their college at around 10:40 AM. Probably the first time I’ve travelled so much for an event in the same city! Upon reaching the college I learned that they had many other events on the same day organized by different departments. Oh, interesting! What’s with so many events? What was special about today? Yes, I’m ashamed and guilty of not knowing that I was to speak at an event on Engineer’s Day. Pro-Tip to event organizers: If you’re inviting someone to speak at an event, please give them the full context. Fast forward to the event, I met the team behind the event and the FSA’s. Soon, the teachers and HoD’s from various departments came. It was a full house. I was invited to the dais to join the HoD of Computer Science Department and their Principal. It was an honour sitting among these great teachers. It’s been a while since I’ve visited a college and for some reason it felt nice to be with students again.Like every traditional inauguration, this one too had lighting the lamp. (One of those rare things that make me feel really old). Their principal, Dr. Govindaraju spoke about Engineer’s day, Sir MV and his achievements. He also spoke about making softwares, applying for patents and monetizing them. Maybe I’m more of a Tesla person. I believe in using technology or making softwares to solve problems. If you make something to solve a problem, it’s more likely to help someone else solve theirs too, so share that knowledge. Monetizing is never a bad idea. However, that shouldn’t be your end goal. The achievable must be a solution to the problem. To each his own, I guess. The wonderful students of the club had made a mobile app to register for events and get updates on upcoming club events. It was an honour to be invited to launch their app along with the Principal. I always admire the capability of students to organize events. Some colleges don’t even support the students in this, however, KSIT had made a really good effort to support student initiatives, events and personal growth. 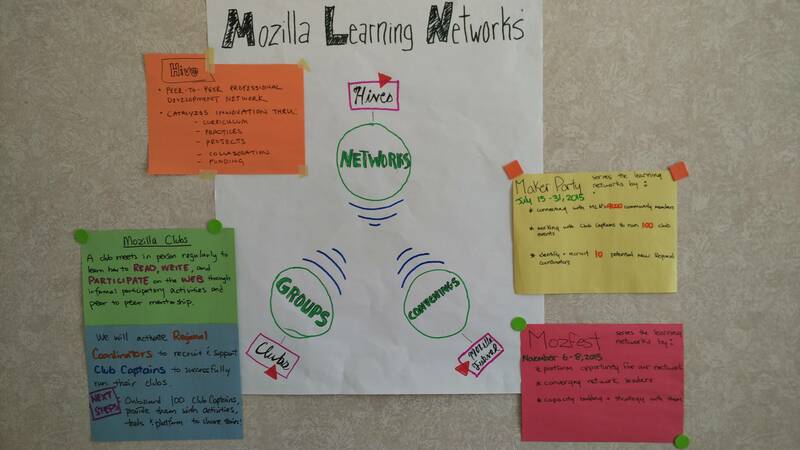 I was invited to talk and share more about the Mozilla and what I do with the Mozilla Learning Networks. During the event I learned about all the amazing things Shri Raksha and her team were already doing. They’ve conducted events in schools to teach kids about the web. I later learned that KidZilla was a huge inspiration for them to do this. Go team! As I picked up the mic to speak, I couldn’t help but smile. I had to share the reason behind that with the audience. 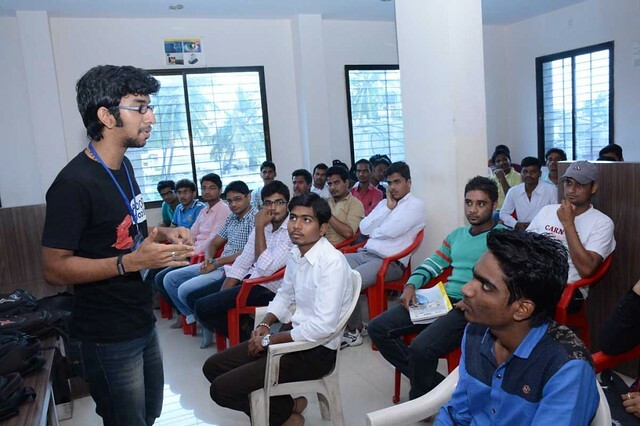 On Engineer’s Day, talking to a room full of Computer Science engineers, was me, who’s a Bachelor of Engineering in Computer Science and Engineering, but chose to leave that behind and become a full-time Community Builder at a startup because that’s what I’m passionate about! Communities! People! Building relationships! This was a great time to rethink their choices in life. Why? Until now, in every event that I’ve spoken at, I’ve met those students who are least interested in engineering but have chosen the subject because their parents told them to or because they we’re clueless at the time of admission and wanted to do what most of their friends were doing. Last week, I was talking to some amazing community managers based out of the US and the UK. Learning from their experience and understanding more about the Community management scene outside India. Why? Because it’s non-existent in India! That’s why! Community Management isn’t a thing in India. Companies here don’t see value in investing in people or building communities. What matters to them are number of customers, downloads of their app or people using their service. One of the people I was talking to, told me that he saw a post on LinkedIn from a company in India saying that they’re hiring a Community Manager. He read the role only to figure out it was a role under the Marketing & Sales team to sell their product offline! At this point, my reaction was.. Thank your for inviting me to speak at KSIT. I had a great time with you all. For the folks who came to talk to me after the event and telling me that the talk was “refreshing”..
About a month back, I received an email from Christine Prefontaine, who works with Mozilla Foundation on StoryEngine. Story Engine is a project that gathers, analyzes, and shares stories from leaders in our network — like you! Through listening and systematic analysis, we aim to create a feedback loop, accelerate learning, and improve the way Mozilla works. As any Mozillian, I was really excited. I’ve always strongly believed in the power of sharing stories. Be it recruiting new volunteers for a project or getting people to help organize an event, stories have always been something that has got people interested. At Mozilla, story-telling plays a really important role. It’s a circle – You attend an event and listen to the story of a Mozillian. You are inspired by him/her and start contributing. Months/years later, you take the stage at an event and inspire another contributor. The chain is now complete. Doug Belshaw: A History teacher at High school turned Web literacy lead at Mozilla. Although I wrote them, I personally felt really nice reading their stories after a long time. Hopefully, if someone else reading this blog-post has some time in their schedule to share such stories, that’d form a great collection in the coming years. In case you’re wondering, story -telling is sometimes a part of my non-Mozilla work, as well! If I had to pick one story about Mozilla that I’m really proud of, the one that’s at the top of my head is about Mozilla Antarctica. Even Arstechnica, picked it up! Thanks to David Boswell and team for setting up this community. I did share my story. I talked about my work, what I do to teach the web and the connection between my Mozilla volunteer work and my job. I spoke about the happy times when I felt a sense of success with Mozilla and also the difficult times where Mozilla acknowledged that it failed. 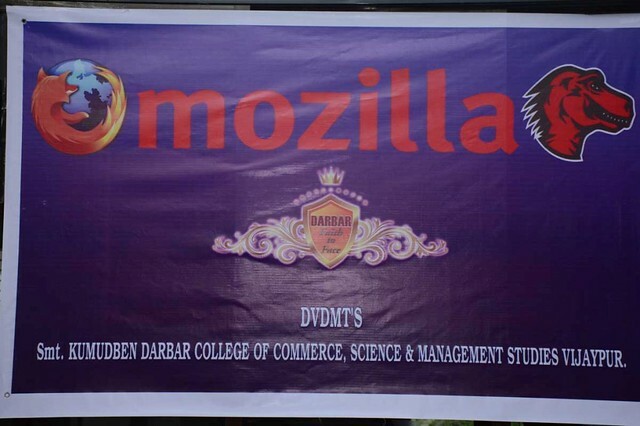 Almost a year ago, Mr.Praveen, an assistant professor at Darbar college reached out to me to guide his students to contribute to Mozilla. 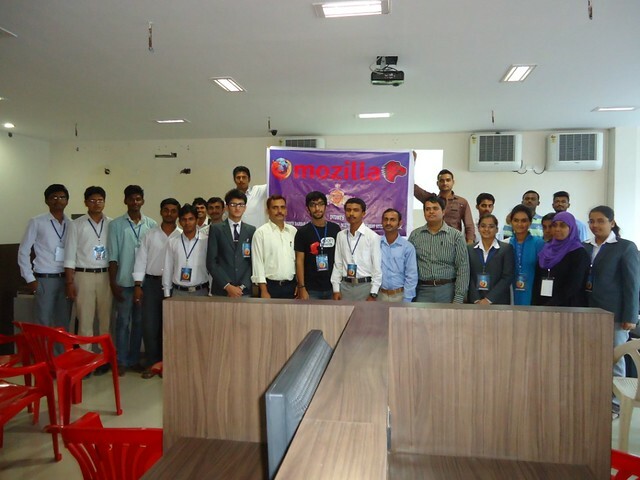 We did the very first Mozilla event in the whole of Bijapur last year. It was amazing to receive an invite from Darbar college for the second time to conduct a follow-up workshop. The best part was to see the contributors grow in such a short span of time. 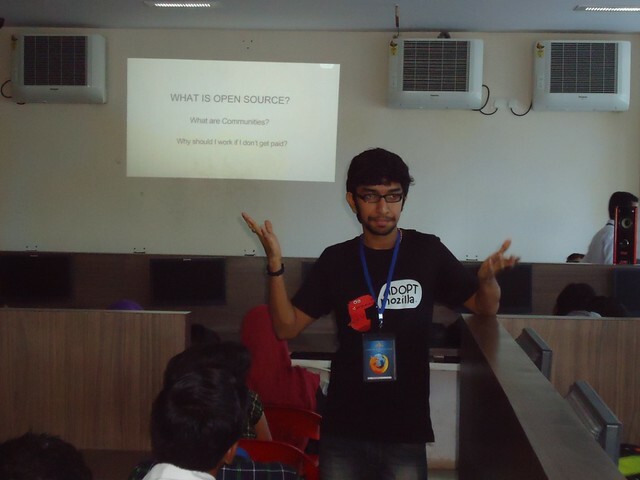 Students had more awareness about Mozilla, what we do for web literacy, about Firefox being open source and even some of the contribution pathways. The teachers and management was more welcoming because of the leadership opportunity they see in associating with such workshops. For them , this is also an opportunity to add this to their showcase of events during admissions. Events like this give them an edge over other colleges in the city. Mr.Praveen, the assistant professor who’s our point of contact from the college, is now doing a research paper including Mozilla Firefox in his test cases on open source. He is also working hard in spreading the adoption of open source and volunteers his time educating his colleagues on various internet related issues. A brief idea about Mozilla, MLN and Mozilla Clubs. Prototyping and presenting teaching activities. During the first session, we discussed about various topics trending on the internet such as privacy, surveillance and sharing personal data on the internet like Apple vs FBI, FreeBasics etc. The students agreed that there are lot of issues they are ignorant about, but need to build better awareness so that they can be vocal about these. During the second half, we started prototyping and presenting concepts in a fun manner. The idea was to explain about technology and computer related topics in a fun and participatory manner to a 5th grade student. Absolutely loved the energy in the entire room when they started ideating. I’ve tried to capture some of the ideas generated out of these sesssions below. The team explained the basic idea of networking along with the types (LAN, MAN, WAN) with the help of people standing inside a circle. First, they formed a small circle with a PC who would be inside the circle. This mean the PC is in the Local Area Network. After this, the PC moves out of the circle demonstrating that it’s no longer a part of the LAN. The circle then extends to form the MAN and the similar excercise is carried out to show WAN. This was a quick and easy way to show the different types of networks as well as the concept of networking to a 5th grade students. The team did a short skit on a website where you can order a custom PC with your own configuration and the process behind it. Everyone is aware that assembled PC’s are expensive. This offers a platform to order custom built versions. They demonstrated this by showing different students as different components like- PC, website, monitor, CPU, keyboard etc. in a very funny and interactive manner. Especially loved the way they showed Google loading the search results. The team did a skit in a government school setup with a teacher and two students. The teacher explains the students about the various generations of computers and the students ask questions on how it looks, why is it called that etc. This is when the teacher with internet enabled smart phones comes to the class and teaches her colleague to use the internet on her smart phone and that too in her local language. This impacted the students in a large way and they were now able to understand much better. The team did a skit on how online shopping works. Right from the placing of order, to dispatching the same by the courier service. They also showed the availability or returning an order. This is used by ecommerce services like Amazon, Flipkart etc. This team gave a detailed step by step process of installing a software. From browsing, to installing to setup to packaged installer to admin permissions to files in the registry. Mozilla Festival has been one of the the biggest Open web events that I’ve ever attended. For the folks who’ve already been a part of Mozfest know that it’s 3 days of sheer madness(the good kind, obviously) and AWESOMENESS! 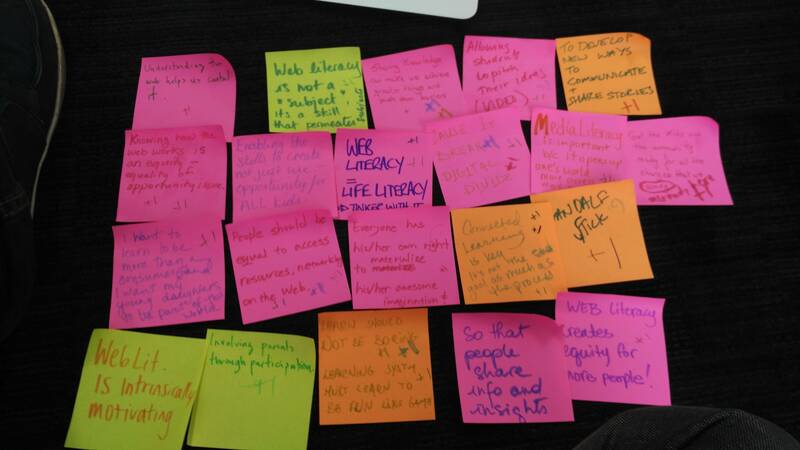 MozFest is an annual celebration of the world’s most valuable public resource: the open Web. This year, a lot has happened to me so far. Although I was geared up for the madness, as Murphy’s Law suggests, everything that can go wrong will go wrong( and it did)! Mozfest has this amazing ability to connect people with people and people with their interests. It is also that time of the year when you get to meet other Mozillians and community members from all over the world. Putting a face to that name(IRC nick) is always wonderful! 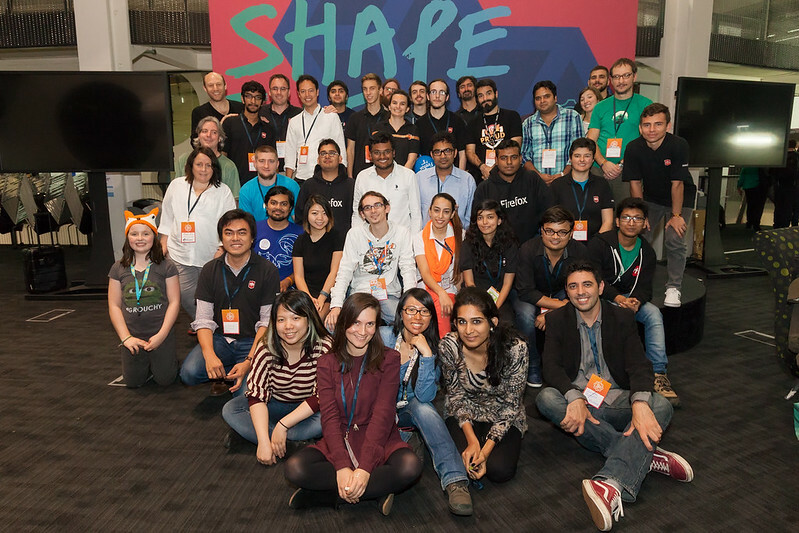 This year at Mozfest, I was invited by the Mozilla Learning Network. As a regional coordinator for Mozilla clubs, something that’s on top of my priority list is to empower club captains and make sure I cater to their needs, in terms of resources, support and whatever I can offer them to run a Mozilla Club. Something that I focused on at Mozfest this year was Participation and help define “Teach like Mozilla”. K, cool. So what did you do to help? 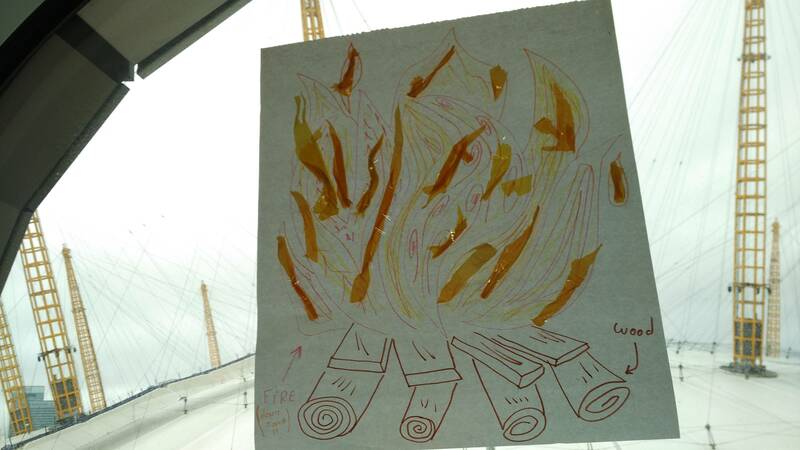 I ran a fireside chat called Playful and participatory learning in Mozilla Clubs at Mozfest. Oh, and we had real FIRE and WOOD as well! Thank god we had superman! Damn. That sounds fun! What’s it like? We had an amazing set of audience attending the session from a very diverse background. The session was focused on story telling, sharing experience and best practices from learners, teachers, educators and developers. In some parts of the world like Finland, there’s not much motivation required for people to learn about Web literacy, while in other parts like Brazil, people are more interested in gaming and unless you make it really interesting for them, people won’t join any web literacy event. Parents are scared on what their kids do online. Even when it’s about web literacy, they think coding or remixing is hacking. Web literacy is not only for kids but adults as well. People of all ages need to know how to read, write and participate on the web. Parents tend to get scared when their kids know more about technology than them. But parents are also interested in learning from their kids and then kids are also excited to teach their parents something they know. In short, if kids are past your level, learn from them. What are some fun, participatory ways in which you’ve learned or taught stuff? In India, there were examples of people who taught to code through games like hopscotch and HTML web page frameworks using bricks. Mostly focused on Lo-Fi and No-Fi teaching kits. Movies are really a big thing in India. Remixing movie posters on thimble is the all time fav activity. In Spain, there are night school programs in companies where the parents, who are employees of the company, come along with their kids and learn about technology. There are different levels of stuff being taught to kids and parents and at the end of the session, kids show their parents some cool stuff they’ve created. In Brazil, people are taught to remix web pages of popular gaming website and add their names so that they can show it off to others. In the US, teachers taught with examples of aliens. They are encouraged to create for the WEB and not for any individual. This , personally for me, meant a lot on the digital inclusiveness front. There were examples of colour blind people, left handed people etc. ore informal session where kids teach.. In Korea, programming is regarded sacred. They have a 6-8 week of curriculum to recruit non computing people and make those students good programmers. There is a selection process for the same and it depends on ideas that people have, and how technology could help them shape their ideas. 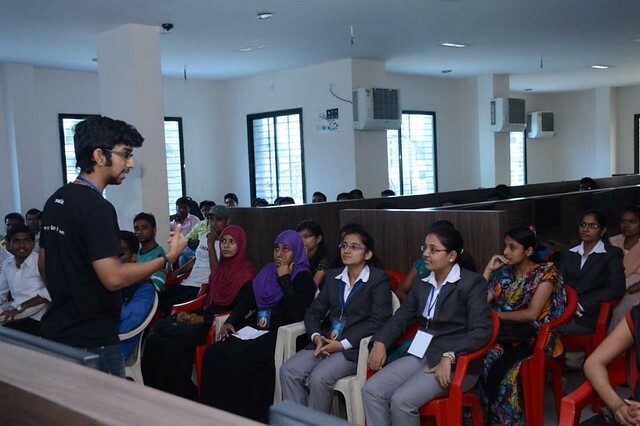 Students from this program has been hired by companies like Google, MS etc. Switching roles-as a teacher, shift my focus on the process and not on result. What education means to me is we can live together.. Relationships we’re building together.. I get scared when my kids know more about technology than I do. Kids are excited to teach parents what they know. Be open to the idea of learning from kids. Better ways of recognizing learners? Is there something that can show all the skills that I’ve learnt at my Mozilla club. What happened to open badges? Ability to share thimble and other makes without having to login. Kids don’t have email ids. #MozLove to everyone who has attended the session. I’ve done a lot of events for Mozilla. Infact, I’ve lost count of the number of places I’ve spoken at. Most of these event requests come from college students/ school authorities. However, I was delighted to see an email from Mr.Praveen, an Assistant Professor in the Departmen of Computer Science at Smt. Kumudben Darbar College of Commerce, Science and Management Studies, Vijayapura (Karnataka State). It was interesting because of the fact that a teacher is interested in organizing a Mozilla event in their college for the students. We took the discussion forward and I got to know that he had read my previous blogpost on “How to organize an event“. Little secret: I love it when people get in touch with me after doing a thorough study about whatever it is rather than messaging me- “bro, i wanna contribute to Mozzilla!Halp” He told me that he’s interested in organizing an event and asked me how we could take it forward. Things went on quite quickly and he had put up a team of student organizers for the event. I started from Bangalore at night and got there in at around 7 AM in the morning(9 hours from Bangalore). I was welcomed by Mehriz and his friend, both students of Darbar college. They took me to the hotel and we were discussing a lot of things on our way. Mehriz is an aspiring writer who wrote his first book called “HardwareNAMA”, inspired from the very famous Akbarnama . At around 10 AM Mr.Praveen, along with the students, came to pick me and go for the event. We met the principal Mr.Grampurohith. It was indeed an eye opening discussion with him on why the Karnataka state government just focuses on Bangalore and not any other city, for that matter. Be it technology, startups, education- everything is concentrated into one city. Bangalore is a very competitive and fast moving place. A student from a small city like Bijapur from a small college, who migrates to Bangalore after completing his/her education, would find it hard to get a job. 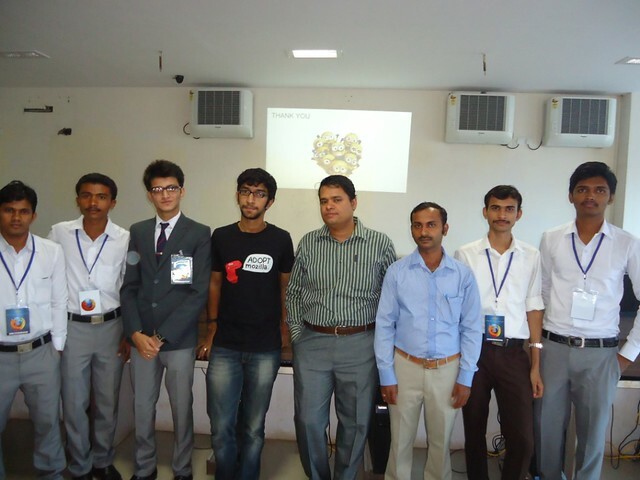 Competition from students in Bangalore+students outside Bangalore who come here for work. He told me to stay in touch with the college post my session and also thanked me for taking the effort to travel and come to their college for the event. We soon started off with a good crowd of around 70 students, although midway, we had more students coming in and unfortunately had to restrict some due to seating capacity of the hall. The slide used for the presentation is attached below. Kudos to the team of organizers for putting up such a great event with good logistics. Following up post event on the press report and future plan for the college. We had talked to the principal on generating more interest from people by conducting activities and sessions. The most exciting part of this conversation was to create a curriculum to integrate opensource and Web literacy in the educational curriculum. This serves as a beta test. If this works in Darbar college, we could replicate the model in the entire university level. The students were really friendly and they came up to me and offered to take me around the city. It was a beautiful place with lots of amazing things to see. One wouldn’t find so many culturally and historically important things in a city like Bangalore. It’s always fun to explore the city with the locals, especially since I love hearing stories, rumors and facts. As I was leaving Bijapur to Bangalore. I met a co passenger who asked me why I was a visitor(considering the fact that I was speaking in english to people who came to see me off). I told him everything about Mozilla and what I do and he was really impressed and said that he will contribute to Mozilla. I was a happy man! Updates: We’re having a call on the 10th of September about integrating Web literacy Curriculum into the college syllabus. Do let us know if you have ideas and thoughts on this. I thought to add this in my previous post, but then I figured this is more important and needs a blogpost for itself. If you’re reading this, you probably know that there’s been a lot going on with Mozilla Webmaker. Mozilla Webmaker previously acted as an important entry point to Mozilla contribution. The Webmaker project aimed at imparting Web literacy and education in a very hands on and participatory way. But the vision for this was is really huge! Like SUPER HUGE(in terms of Potential and Impact)! This very much relates to Mark Surman’s blogpost on Mozilla Academy. 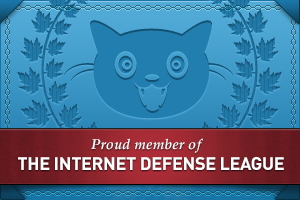 All efforts of the Mozilla Learning Networks team funnels into the end goal of Universal Web Literacy. Hive is an example of a Learning Network. It’s a constellation of communities around the globe that are championing digital skills and web literacy through connected learning. It’s a peer to peer professional development network. A Mozilla Club is an example of a group. A Mozilla Club meets in person regularly to learn how to Read, Write and Participate on the Web through informal participatory activities & peer to peer mentorship. Interested in running a club? Sign up here. We activate Regional Coordinators to recruit and support Club captains to successfully run their clubs. There’s no explanation required here to say that Mozilla Festival is the biggest convening of educators, makers, hackers and technology enthusiasts. Mozilla Festival this year is from the 6th-8th of November. It’s a platform and opportunity to network. It’s a converging of network leaders motivating educators to become regional leaders. Maker Party serves learning by connecting with Mozilla Learning Network. Working with clubs by conducting learning events to identify and promote leadership and spreading Universal Web Literacy.